Where would you normally go to find something you desperately require? The local shopping mall, perhaps? Or how about, the Internet? 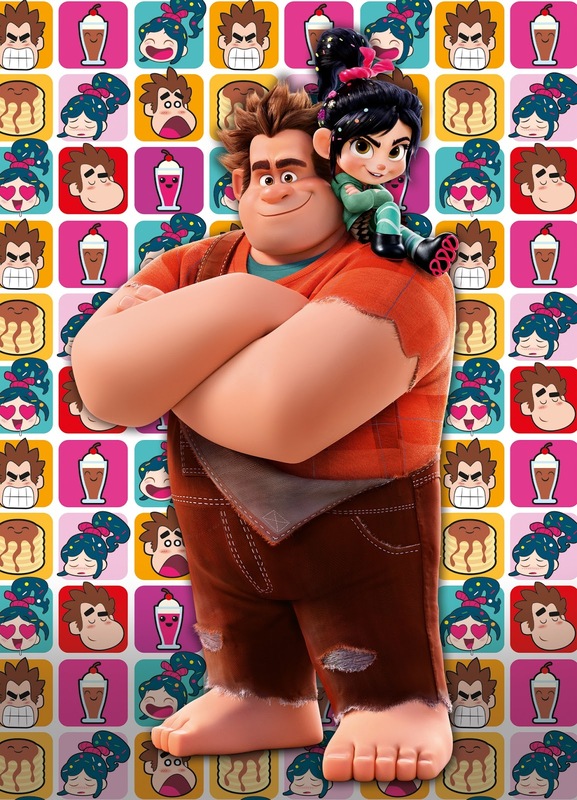 After all, that’s precisely where Wreck-It Ralph and Vanellope von Schweetz go, when they want to find a special part to fix one of their favorite video games. 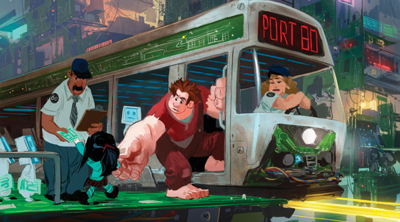 They go to the Internet, physically, as seen in ‘Wreck-It Ralph 2: Ralph Breaks the Internet’. But of course, with this being a Disney movie, their intended adventure isn't going to be as simple as one, two, three, because throughout their journey they end up bumping into a wide array of colorful characters who either get in their way or on their nerves. This includes Fix-It Felix, Shank, Ariel, Sergeant Calhoun, Moana, Pocahontas, and many many more! Want to know more? Then please check out the following two books out now. Age range: 5 to 9 years. 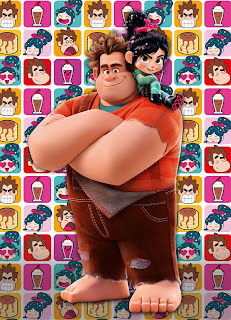 Synopsis: This fun-filled guide is full of facts and interactive activities based on Ralph Breaks the Internet, which is the jazzy sequel to the original Wreck-It Ralph animated adventure. So stand back, folks, and get ready to discover new locations, new characters, and new ways of doing things, without forgetting to familiarise yourself with some of your old pals, such as Vanellope von Schweetz. 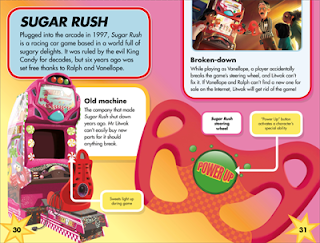 This book also features images, bios, stories, games, inserts, quizzes, and an awful lot more. What I thought of it? Despite its size and page count, which in both cases seem slightly low in stature, this book is a pretty good book because it’s boldly illustrated and jam-packed with lavish visuals, interesting facts, and fun-fun-fun. What I enjoyed about it the most was how much trivia and knowledge it was willing to put on display! I mean, did you know that Ralph is so powerful he can’t help but accidentally break things? 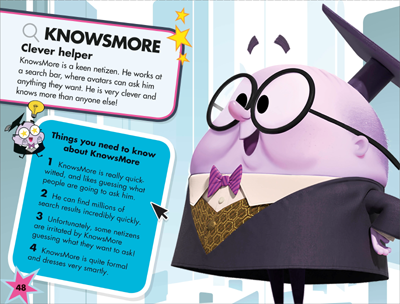 Or for that matter, that Mister Litwak knows more about arcade machines than he does about Wi-Fi routers? Come to think of it, I also loved playing with the games featured in this book as well, ranging from the: ‘What kind of a princess are you?’ game (I’m Pocahontas), ‘Which internet character are you?’ game (Knowsmore), as well as the, ‘What is your favorite arcade game?’ game (Hero’s Duty). Having said that, though, it was fairly quick to read, but apart from that slight gripe, yeah, overall it was definitely an enjoyable companion piece for those fans of the film. 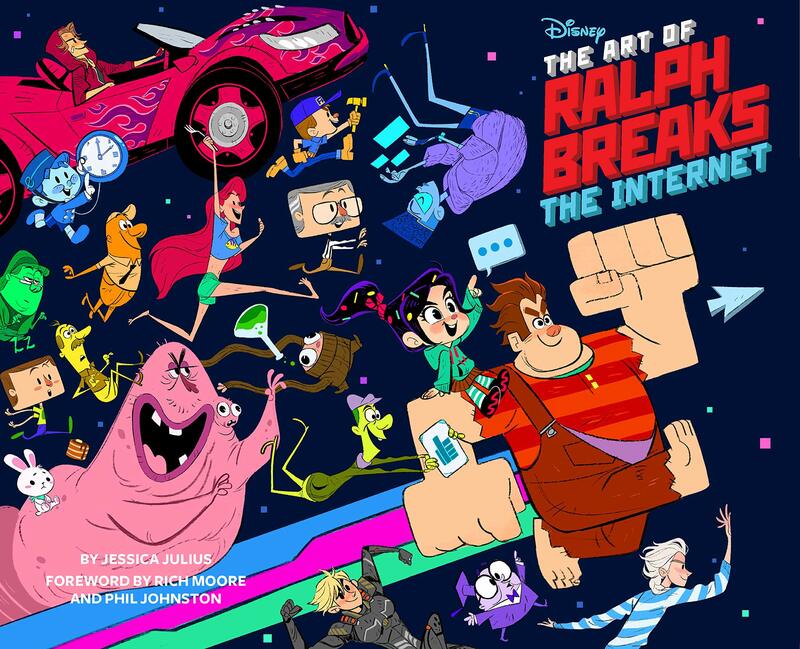 Author: The book was written by Jessica Julius, and comes with a foreword penned by Rich Moore and Phil Johnston, the two directors of Ralph Breaks the Internet, although Phil is also the screenwriter. Age range: 5 and over. 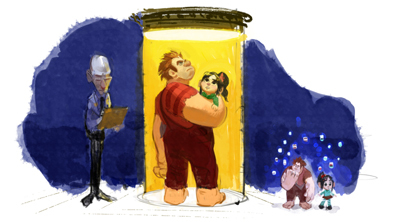 Synopsis: The art department at Disney have done a wonderful job of bringing the magical world of the internet to life. 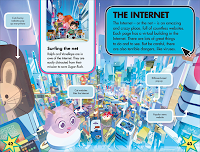 So much so, in fact, that this book, 'The Art of Ralph Breaks the Internet', is willing to reveal the artistic process behind their highly detailed work. 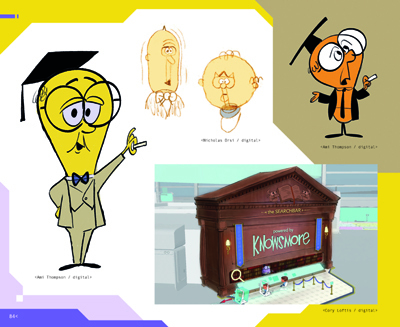 It features never-before-seen concept art, character sketches, storyboards, and color-scripts, each complemented with a number of interviews carried out with numerous members of their production team: such as designers, artists, actors, and miscellaneous members of the crew. The book was written by Jessica Julius, and she's best known for being the director of creative affairs at Walt Disney Animation Studios, as well as being the author of another book published by Chronicle, The Art of Zootopia. What I thought of it? If the previous book could be compared to a midday meal, such as a hamburger and chips, then this book is most definitely a five-course sit-down meal, with an aperitif, a fish dish, a main course, and a dessert, accompanied by a cup of expensive coffee and biscuits afterwards. Seriously, folks. This book is the bomb, BOOOM, and it just blew me away the more I read it. Not only because it’s crammed from start to finish with character bios, concept art, designs, ideas, backdrops, and interviews with most of the main players, but in addition to this, there’s so much stuff to look at I’m truly surprised to discover the amount of work that has gone into developing a children’s movie. With all due respect, it’s almost like waking up one day and realizing that Vincent Van Gogh once drew Mickey Mouse, although, in this instance, it’s because of the palpable skill and talent that has gone into developing what some might say is a childish project. Which it isn’t, of course, and doesn’t take away my fascination for the behind-the-scenes trivia and facts that this book has in spades. Lovely stuff, and definitely worth the price for anyone who enjoys art, creativity, and animation. So there you have it, folks. 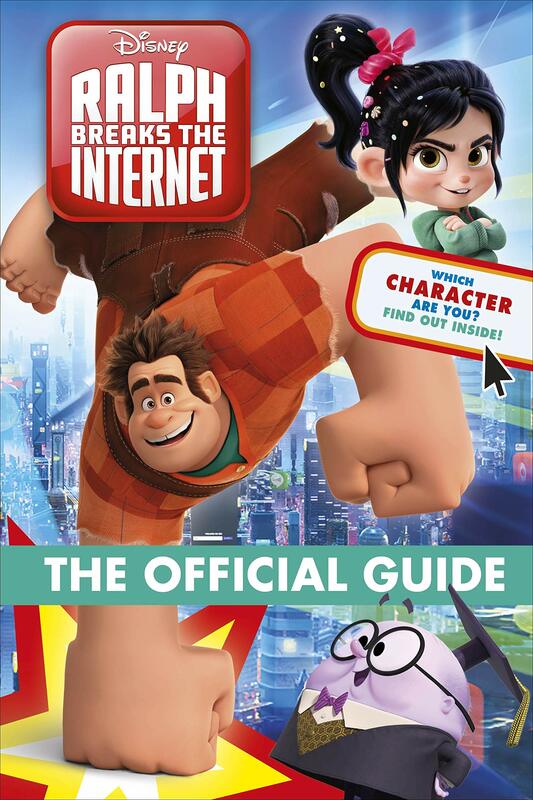 Two new reference books about the new Wreck-It Ralph movie, 'Ralph Breaks the Internet'. Please check them out when you can, and don't forget to pop on over to Amazon if you ever want to pick up a copy.